Looking to do something fun during your holidays this year? Hint: Use « the smart Vivaldi browser”. All year long, we’ve been unwrapping a string of useful features and exciting new ways for you to browse online. 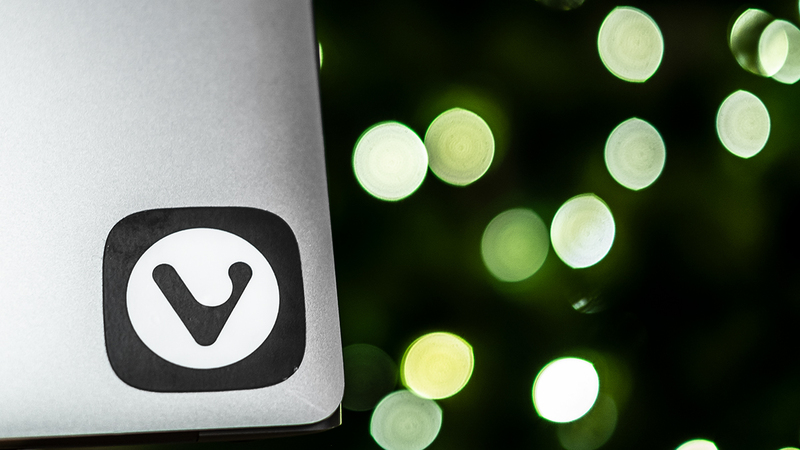 Now that we are getting into the holiday spirit, here is a reminder of how Vivaldi can help you light up your surroundings. Your favourite browser makes it easy, creative and fun. But how? 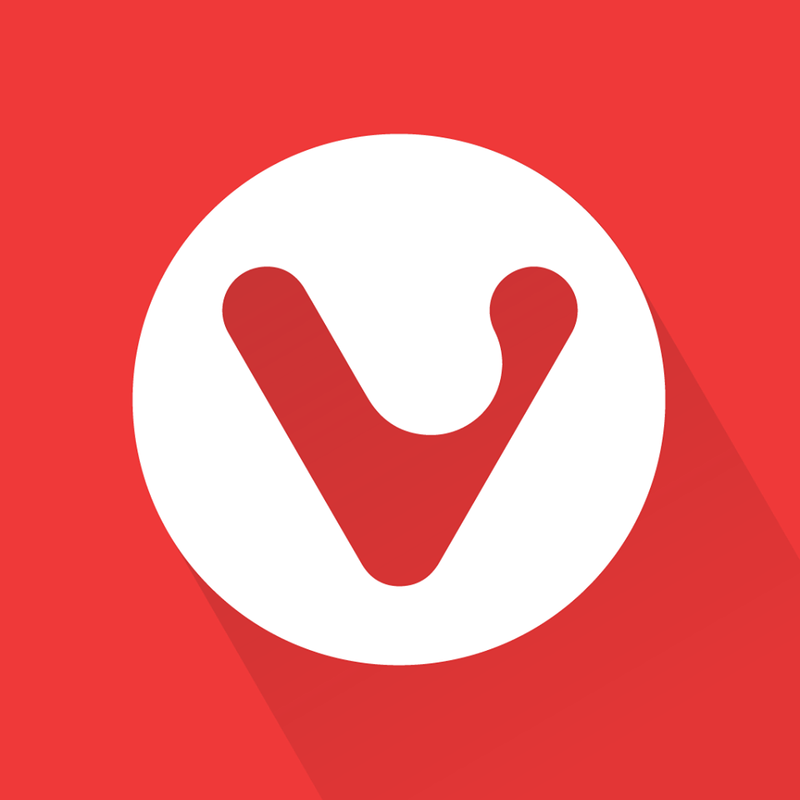 Vivaldi was the first browser in the world to dip its toe into smart home integration—straight out-of-the-box. It takes the customization aspect one step further by allowing you to connect to and control objects outside the browser. Yes, you don’t need to spend time putting up a line of Christmas lights to get a festive home for the holidays. Instead, with the right light in the right locations using Philips Hue and the Vivaldi browser — you can create just the right ambiance at home or at work 😊. It’s all about precision: place lights strategically to define different spaces, while not completely flooding them. Then add accent lights to give a bit of extra flair. Vivaldi has a sleek and modern interface, and one of the ways that set it apart from other browsers is the color-changing toolbars. Vivaldi picks the dominant color of the website. While this functionality can be turned off, we like it so much it is part of our default « Vivaldi » theme. Vivaldi’s integration with Philips Hue is a colorful feature. It takes the carefully chosen dominant color and applies it to connected lights. You can have Vivaldi control as many lights as you like, shining the color from websites you visit throughout your home. To get started, locate the Themes category in Settings. 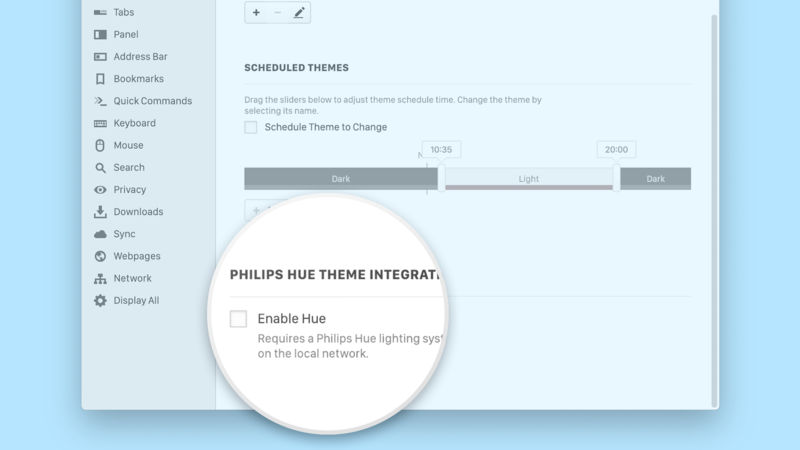 There you’ll find Hue Integration options below Theme Scheduling. And while on that topic — did you know you can schedule themes to change based on the time of day? Drag the sliders to configure a schedule you like and let Vivaldi work its magic. If you can’t get enough of themes and colors, here is a story by designer Henrik Helmers on how Vivaldi got its lights. It’s likewise worth a read if you’re interested in how ideas evolve here at Vivaldi. It is a known fact that we spend much time with our browsers. Being able to reach out and control the real world through the browser is an impressive technological feat. But building the feature is one thing, it also has to be maintained. The Vivaldi Hue Integration recently got a bit of an overhaul. Multi-room support has been enhanced, and all lights are now displayed, including those you cannot control — because they do not support colors. Behind the scenes, things have also changed. We use the new system for managing preferences, have switched to the new Hue discovery service, and generally improved quality. Vivaldi now also supports manually specifying a bridge IP. This can come in handy if you have an exotic setup, like a large setup with multiple bridges. Remember that Vivaldi Hue lighting integration can be used all year round! Just adjust your light colors to whichever holiday or season you want, using Vivaldi. Now that your home is lit for the holidays or at least you have some ideas to how to light it up, help inspire others with our unique integration. Let people know, spread the holiday cheer and do share your clever lighting arrangements with us in the comments below.